Welcome! We're glad you're here! 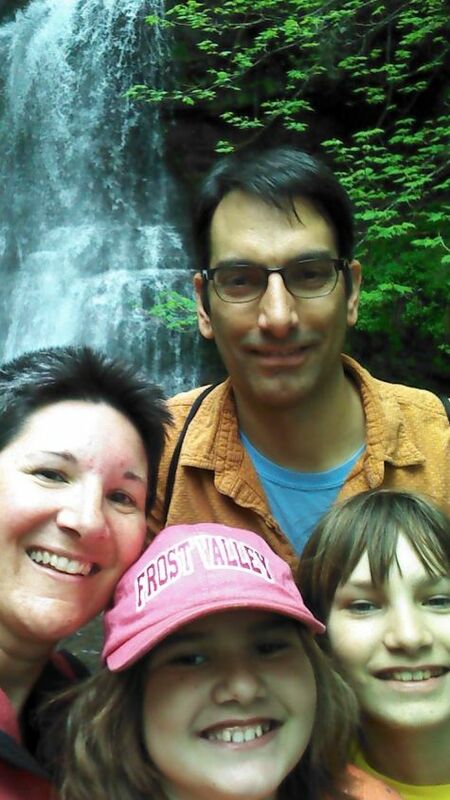 Erica's Journey connects interested family and friends with ways to support Erica Chase-Salerno, her husband, Mike, and their two children, Declan and Quinn, during her dance with Stage IV terminal breast cancer, newly diagnosed in July 2015. Erica's calling as Healer guides her unique perspective around this incredible experience, illuminating essential gifts and insights along the way. She can't stand raisins or celery. She adores chocolate flourless tortes. You have helped her dream come true of seeing (twice!) Hamilton: An American Musical! She's a huge fan of Tig Notaro, Amy Schumer, Ellen DeGeneres, Samantha Bee, Jon Stewart, Stephen Colbert, John Oliver, Dwayne the Rock Johnson, and the entire cast (present and past) of Hamilton. Her husband, Mike, though, is the funniest one of all. Thank you for reading and for being part of the journey. ----- Medical-ese: Invasive Mammary Carcinoma both ductal and lobular; estrogen and progesterone receptors (grows with those hormones); HR-; Grade 3 aggressive. Stage IV due to spread, such as lymph nodes under the arms, sternum and the lymph nodes behind that, left hip, and two backbones: C7 and L5. Mets/spread to liver in June 2016, with marked progression in September 2016. Just to clarify, Stage IV breast cancer is diagnosed as uncurable in 2016, so we're just trying to halt it/slow it down.